Seven miles west of Wadesboro via US Hwy 74, Polkton began as the farm of Colonel Leonidas Lafayette Polk, the noted agrarian crusader. 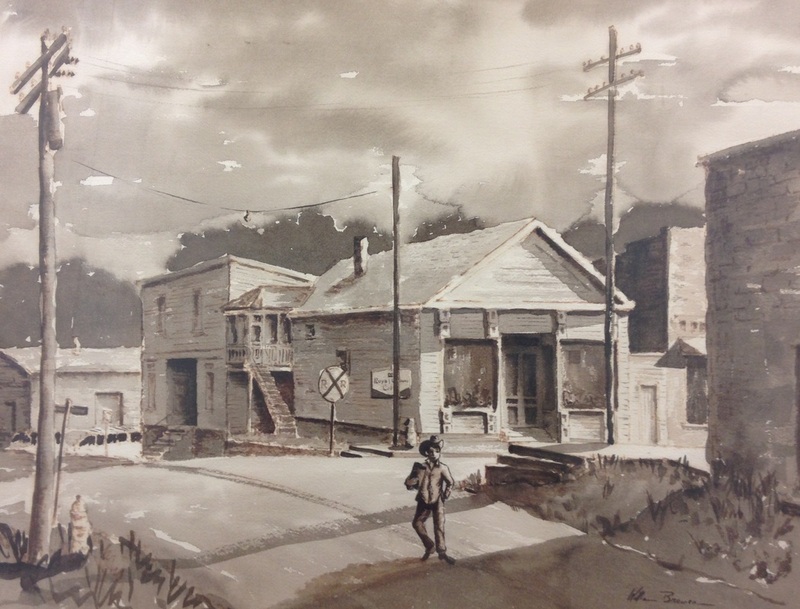 When the Carolinas Central Railroad pushed through his farm, the idea for building a town was born. He first thought of calling it Luneville, but Polkton, honoring his family name, won out, though the area was first called Pineville. Polk laid out streets in 1870 and advertised in his weekly newspaper printed in an office at his home. He called for new citizens with character. The social and literary club led by the Davidson alumnus was a source of enjoyment to him, his wife, Sallie, and their six children. His home, which still stands, housed his print shop, store and living space. A North Carolina historical marker highlights his career. 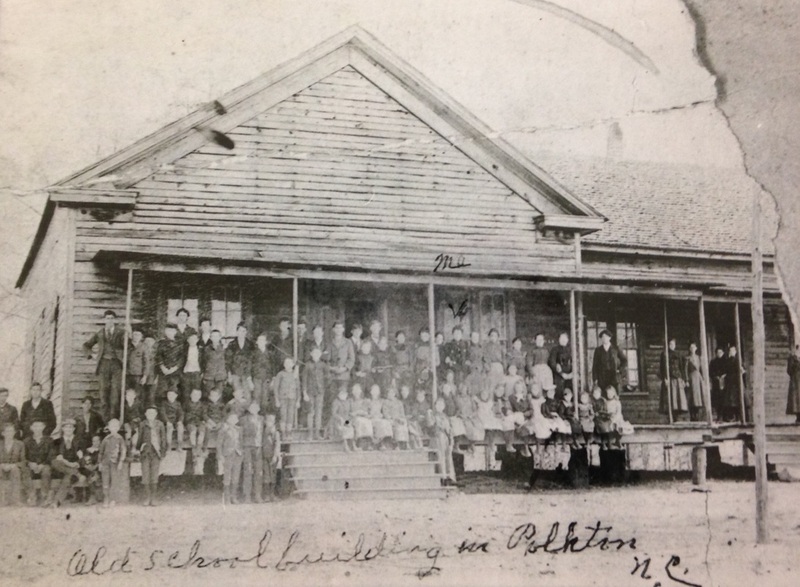 Polkton was incorporated in 1875. It prospered with farming and storekeeping. In the early part of the 20th century a brickyard and Goodman Tan yard operated in the town. Later the Harris and Clark Lumber companies were a business asset. Stores did a good business. The Ross Company, a large general store, hired a milliner from “up North”. In time, R. G. Austin started a small light plant, Delco System and Dr. L. C. Smith began a telephone system. Polk was a man of many talents and something of an inventor. He concocted candies and diphtheria medication which had wide sales. Not the only man in Polkton to attempt inventing, Leard Moore invented chain brakes, and a Mr. Pope invented the first automatic car coupler. Both were beaten to the patent office and did not reap the rewards of their inventions. A colorful Polkton woman, Aunt Roxie Ledbetter, accompanied others on their first ride on the Old Carolina Central. 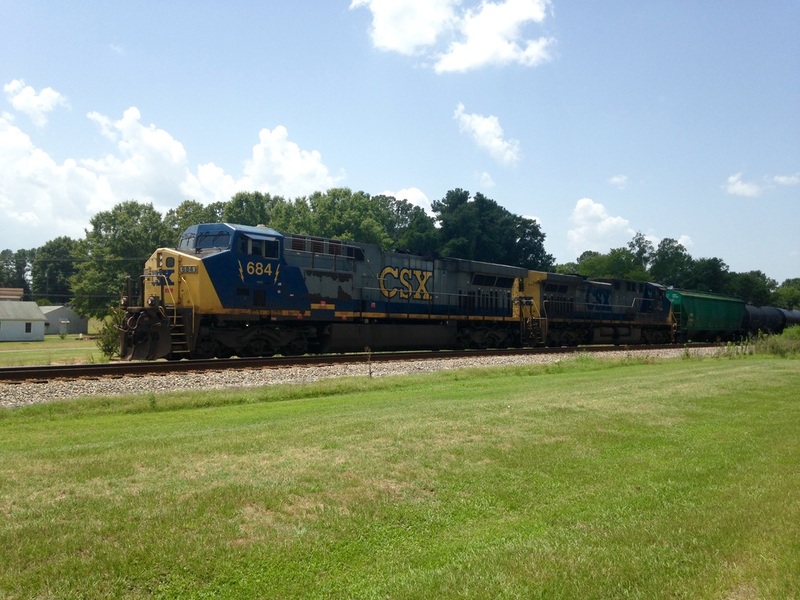 The story goes that the train wrecked and several people were injured on the way to Lilesville. Aunt Roxie, a woman of courage and many petticoats, ripped one of them and tore it into bandages. The injured all lived to tell of the experience. 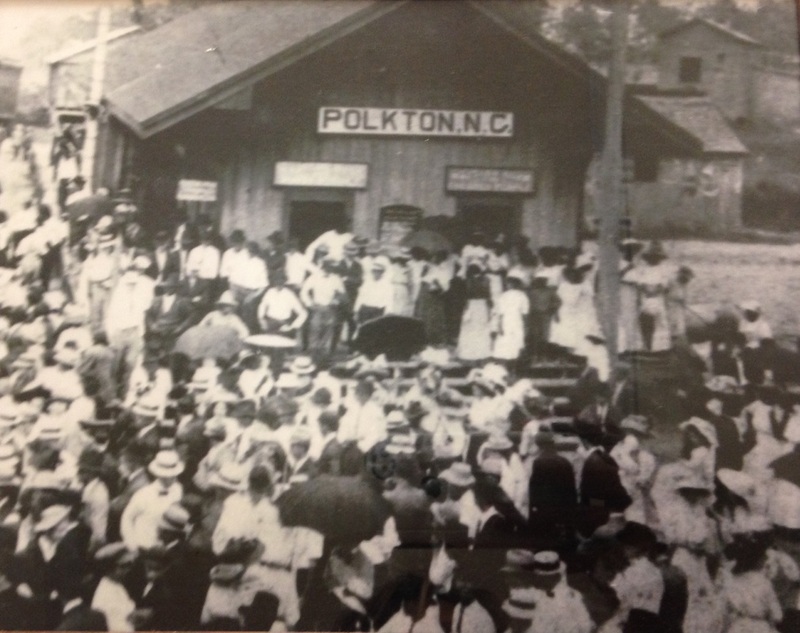 The Bank of Polkton served the town and the community until the depression. 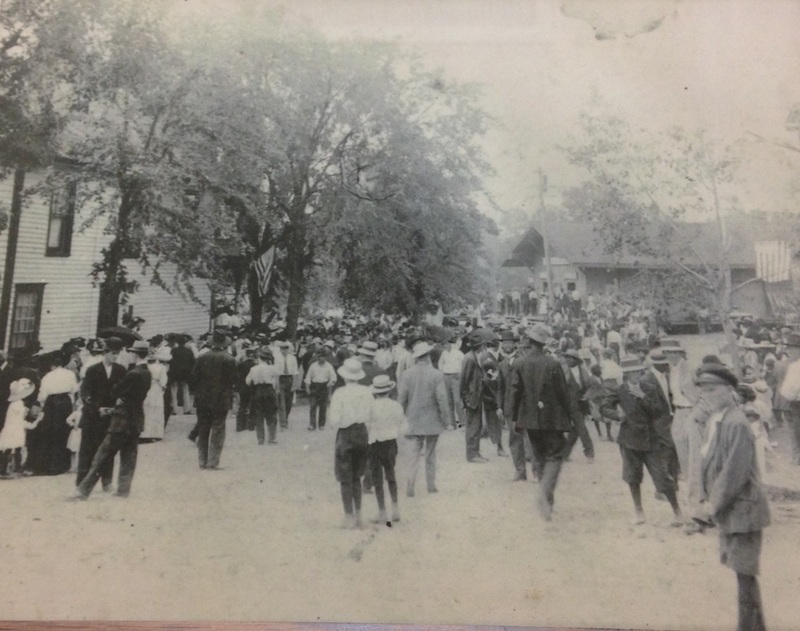 It was sponsored by a Rockingham bank with Leak Covington and A. L. Caudle as leading businessmen. Charles H. Martin's (Populist ticket winner for Congress) grandson, W. Cliff Martin, served as Mayor or a Town Commissioner for a total of (50) fifty years. He also owned and operated a substantial business in Polkton, called the Polkton Shirt Company. For many years, the shirt factory which began in 1938 and grew to Polkton Manufacturing Company operated here. Hugh Martin Efird, president, is the grandson of John Emory Efird, whose sons founded Efird Stores. Other businesses are: Southern Fabricators, metal works; Tidewater Company, sellers and repairer of logging equipment; three (3) convenience stores, providing food and fuel; a restaurant serving home-style cooking; a Dollar General, providing general merchandise; a propane storage site; a carwash; a diesel repair shop; a daycare center; three (3) North Carolina Dept. of Public Safety Correction Facilities (minimum, medium and maximum custodies); a Police Department; a Fire Department; Emergency Medical Services; American Builders, a metal building fabrication company; a local First Bank; Anson County Animal Shelter; Brown Creek Animal Hospital; and the Field of Dreams (baseball and softball fields). 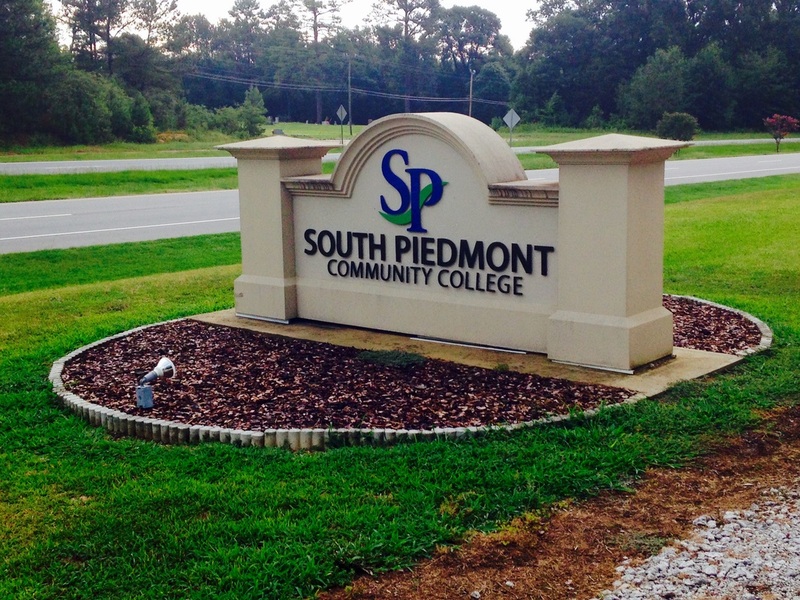 South Piedmont Community College is located on the west side of town. The college has not only been an asset to Polkton but to the county as well. Schools have consolidated and elementary students attend the combined Peachland/Polkton School on US Hwy 74 and middle school and high schoolers attend Anson Middle and Anson High School located inside of Wadesboro’s city limits. Polkton’s spiritual needs are attended to by the Baptist, Methodist, Presbyterian, Church of God and independent non-denominational churches. Two state Federated clubs are present in town - the Polkton Literary Club (inactive) and the Polkton Women’s Service Club. Two local community groups are actively involved in beautifying the town. Polkton’s famous sons are Ambassador Wilson Clarke Flake; Harlee Branch, Atlanta newspaperman and head of civil aeronautics during the Roosevelt administration; James Bennett Branch, Presbyterian educator; and Ret. Major General Arthur T. Dean; to mention a few. 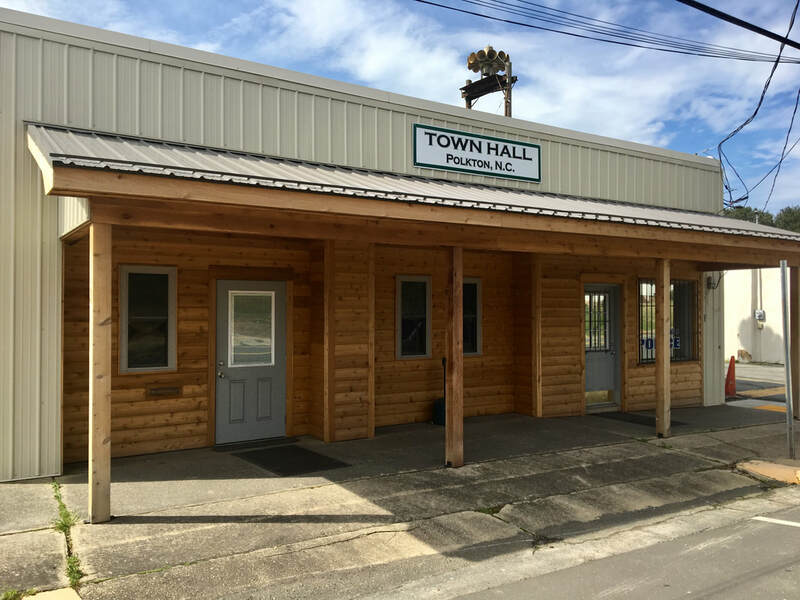 Other families who have been active leaders in the development of the town are Smith, Harris, Crump, Moore, Martin, McDaniel, Austin, Bricker, Caudle, Cameron, Humbert, Boyce and Hawley. Citizens of Polkton have through the years gone on to be successful professionals, businesspersons and government servants.